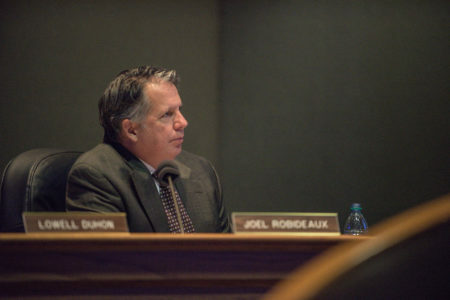 This story was updated at 12:56 p.m.
Terry Huval, director of LUS for 23 years, has hastened his retirement amid revelations that the Robideaux administration is in talks to privatize the system’s electrical division. He resigned effective July 18. The administration’s ongoing talks to turn over management of the LUS electrical division to a company owned by private equity firm Bernhard Capital Partners first came to light last week in a story published by The Current. Huval announced on April 10 his intention to retire at the end of October, raising speculation of tension between the long time director and the administration. On April 9, Robideaux signed a non-binding letter of intent with Bernhard subsidiary NextGen that allows the company to pore over LUS books and internal documents to size up a sale. The letter of intent proposes an acquisition deal worth up to $526 million. Huval says he learned about the letter of intent through media reports. He has not been intimately involved in the administration’s talks with Bernhard, nor the process of accommodating the company’s review of LUS’ financial and technical reports. 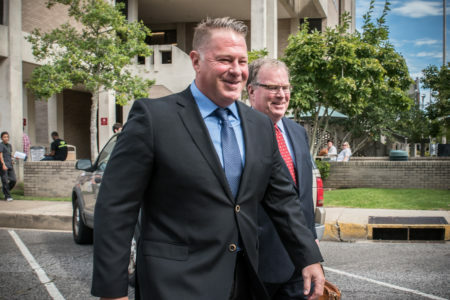 Speaking to hundreds of his employees in two emotional gatherings on Thursday morning at the system’s break and training room, Huval openly questioned the administration’s cause for striking a deal to privatize LUS, according to Councilman Bruce Conque, who was in attendance. Conque says Huval told his employees that he “could see no benefit” to LUS customers. In his remarks, Huval also took aim at the administration’s claim that LUS desperately needs major improvements to the electrical system’s power generation plants, another purported justification for a deal with Bernhard. Robideaux says that Bernhard first expressed interest in acquiring LUS upon hearing about a $250 million bond authorization that included $130 million for a new natural gas power plant. Huval says Robideaux asked in April of last year that LUS delay going forward with the bond issue to accommodate interest from Bernhard. The new power plant became an unnecessary improvement, according to Huval, when Obama-era clean energy regulations were struck down by the Trump administration, allowing LUS to continue operating its coal-fired power plant in Boyce, La. Huval says the bond authorization reflects a list of potential needs for the system that aren’t necessarily urgent. Customer rates were raised in anticipation of the bond issue; proceeds from the hikes were rolled into other initiatives. Huval credits his employees with the system’s low rates, high reliability and strong customer service ratings. 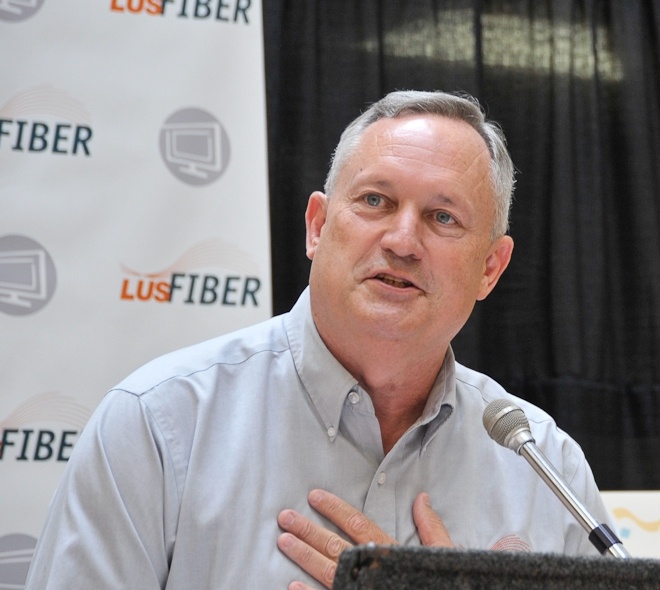 Robideaux said in an interview this week that other companies have expressed interest in LUS, including Entergy and the investment group that owns Cleco. The Advertiser reports that Cleco and Entergy were spurred forward by Huval’s original retirement announcement. ▸ The gist: Next year’s budget was balanced assuming the parish would successfully sell a Downtown parking garage to the city for $770,000. On Tuesday, the City-Parish Council voted down the mayor-president’s proposal. Opponents argued it was a bad deal for the city that amounted to a bailout for the cash-strapped parish.